Spring Break is here and that can only mean one thing — SUMMER is right around the corner! 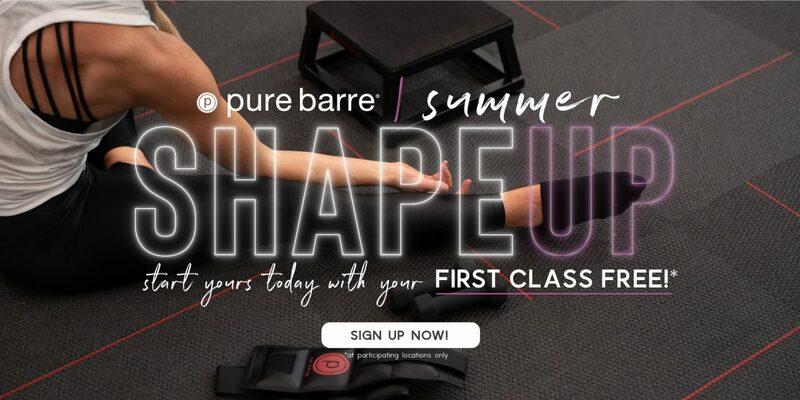 Whether you want to get bikini ready, improve your fitness or mentally prepare for your kids to be out of school, Pure Barre Ballantyne is the place for you and the timing couldn’t be any more perfect. PB Ballantyne is in a summer state of mind with their newest special – 12 weeks, unlimited classes for $399. If you break the numbers down, it costs less than a cup a coffee a day – This is an amazing deal! Click here to sign up. * You have from now until May 1st to lock in this deal. 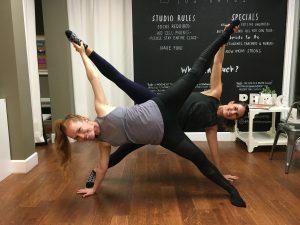 If you are contemplating taking a barre class, new to barre or an “OG,” keep reading, this article is full of information that will help you with your #PURESUMMER goals! Never taken a Pure Barre Class. No problem. Let’s break it down for you. Pure Barre offers 3 different classes: Classic, empower and their newest addition, Reform. Each class offers you something different with the underlying goal of building long and lean muscle tone. Classic: Rooted in our classic technique, Pure Barre is the fastest, most effective full-body workout You’ll be guided through a series of low-impact, high intensity movements that are designed to strengthen and tone your body in ways that no other technique can. Give us 50 minutes and we’ll give you the best of barre – long and lean muscle tone without the bulk. Empower: More cardio. More ways to crush your goals. Pure Empower is a fusion of barre and interval training designed to elevate your heart rate, build strength and rev up your metabolism. For 45 minutes, you’ll use multi-directional, dynamic movements with ankle weights and a plyometric platform to target different muscle groups simultaneously – all at an invigorating pace. Reform: Inspired by resistance training. Perfected by Pure Barre. Pure Reform is a total body workout that targets, shapes, and defines all major muscle groups through resistance‐based strength training. The 50‐minute class merges the elements you love from our Pure Barre technique with moves that challenge your strength, coordination and balance by using resistance bands, sliders, and the barre. Now that you understand the classes, wondering what you should wear or bring to class? Click here. Pure Barre has mapped out an effective weekly routine for whatever your goals may be: Weight Loss, Toning, Injury Prevention & Recovery, Maintenance or ALL OF THE ABOVE! In my opinion, there is nothing more motivating than challenging yourself and that is what I do when I track my workouts on my Apple watch. I mean, who doesn’t want to be better than they were yesterday? But, am I doing it right? This where Pure Barre teachers Brook and Sarah (@barreandgrill) enter the scene. These two ladies have the Apple Watch all figured out. I immediately reached out and asked if we could share their amazing tips!! The CSP Team is so excited to finally understand how to do it effectively! Let the challenge begin!! Thanks Brook & Sarah!! Why? Because there are two things you need to ensure the watch is taking into consideration: your heart rate AND your movement types. For example, while many people use “HIIT” to track Empower, this isn’t the best option. While tracking HIIT, the watch is looking for big range movements with more lateral side to side movement and will base calorie burn on how many of those movements you complete in the workout. Using stair stepper is more accurate in it’s reliance on heart rate and accurate movement. It gets more accurate: if your first time, you try “Stair Stepper” and it gives you less calories than your current count on Barre, that is NORMAL. The watch is designed to start looking for patterns, and you will start getting higher calories counts. You may also have noticed that if you choose “Barre” for everything (Empower & Reform), your calorie count during classic has gone done. That is not because you aren’t working as hard. The watch is looking for those sustained #Empower rates, and it is not finding them! Give it a solid 5 classes before you give up. Tighten your watch: Tighten the band to the point you couldn’t get another finger between your watch and your wrist. SO tight it leaves an indent on your wrist when you are done. This will allow your watch to get better oxygen rates and prevent excess jiggling (which confuses your watch!). It Will Stop: If you are using the Empower setting “Stair Stepper, ” it will likely stop during abs or bridge at the end. This is because it is looking for range of motion. Go to the settings on your watch and follow these steps (1) Settings (2) General (3) Workout (4) Auto Pause and END workout reminder. Slide those bad boys off. That will alert your watch to keep counting/tracking heart rate throughout the workout. Empower is designed to bring your heart rate down at the end, so that is normal. Turn On DO NOT DISTURB: Do yourself a favor and turn on Do Not Disturb during your workouts. If you get a buzz and you have the twitch that makes you look, guess what –> you just lost focus on your workout! Your are no longer in the mind/body connection. Go to the watch app on your iPhone (1) My Watch Tab (2) General (3) Do Not Disturb. Bonus: your phone will AUTOMATICALLY turn the DND off when you have completed your workout! Next Level: If you really want to zone into your workout –> turn on theatre mode before class starts! That just means your screen won’t flash on and off when you are moving your wrist. Avoid the temptation of looking at your watch!!! Are you ready to sign up? 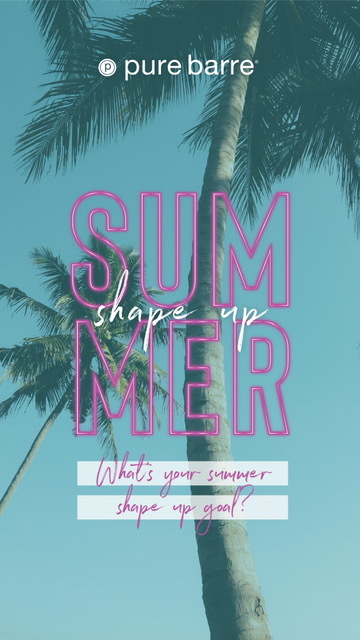 Click here for the Summer Shape Up Special. Only 12 weeks until summer!